What is the Rotary Golf Swing? The Rotary Swing Tour golf swing learning system was devised to make the golf swing both easy to understand and easy to learn, all while being easy on the body.This powerful proper golf swing got RST Founder Chuck Quinton's golf swing up to the 129 mph clubhead speed mark all while having a perfectly square path and clubface angle. The secret to this golf swing is that there are no secrets, just proper golf swing mechanics! 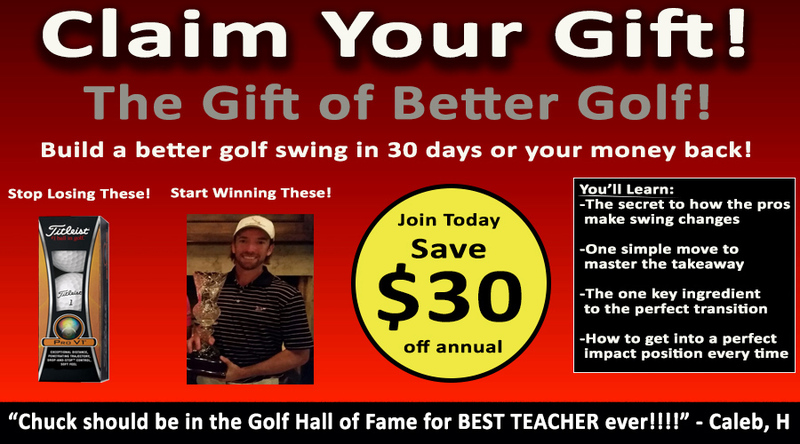 It's completely grounded in science - a fact based approach to learning the golf swing online. If you've ever wanted to learn how to properly swing a golf club, then you've finally come to the right place. The Rotary Swing uses physics, biomechanics, anatomy and neuro-mechanics as its foundation for developing the #1 golf swing model that has literally cut hundreds of thousands of strokes off its members golf handicaps across the globe. With hundreds of thousands of members, RotarySwing.com has become the go to online golf instruction website for those golfers wanting to learn the TRUTH about building a proper golf swing and are tired of band-aid fixes and compromises. If you want to learn how to properly swing a golf club and play your best golf possible all while learning in the comfort of your own home all while spending the least amout of money possible, RotarySwing.com is your new online golf instruction home! Get Your Free Membership to Finish Watching "What is the Rotary Golf Swing?" Right Now!